The SHRC considered the following nominations at their regularly scheduled hearing on January 28, 2011. 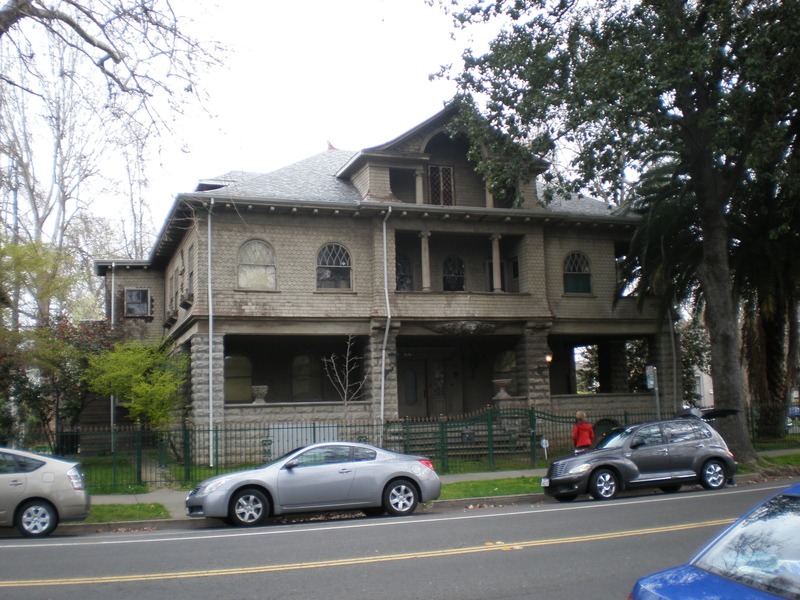 They recommended the State Historic Preservation Officer (SHPO) forward 5 National Register nominations and one Multiple Property Document to the Keeper of the National Register for listing, and recommended that the SHPO forward two properties to the Keeper for a Determination of Eligibility. This multiple property document identifies historic contexts for properties in the city of Auburn within three historic contexts between 1849 and 1960, with property types including government buildings, commercial buildings, religious and social buildings, and residential buildings. 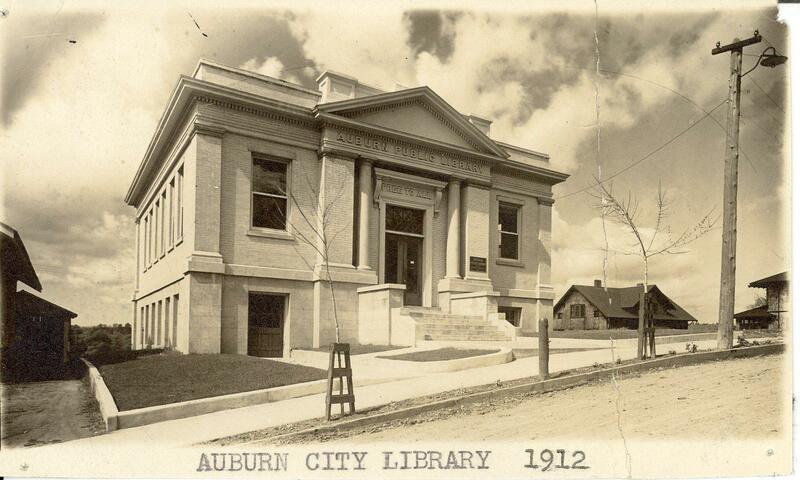 This Carnegie library, constructed in 1909 in the city of Auburn, is a Classical Revival building designed by Auburn architect Allen D. Fellows. 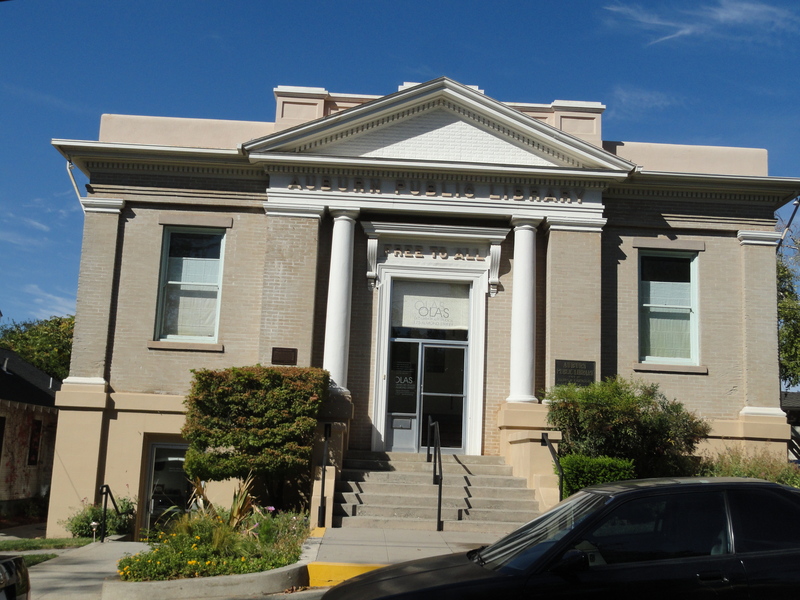 It served as Auburn's public library until 1968, and as the headquarters for Placer County's library system from 1937 to 1968. It is nominated as part of the Auburn MPS. This house is the work of master architect Ernest Coxhead, and an outstanding example of the way Coxhead combined the popular American Shingle Style with experimental uses of European Revival Styles. Built in 1901 overlooking the San Francisco Presidio from an unusual wedge-shaped block, the house included a music room for Waybur, Assistant Director of the Mills Seminary Music Department. 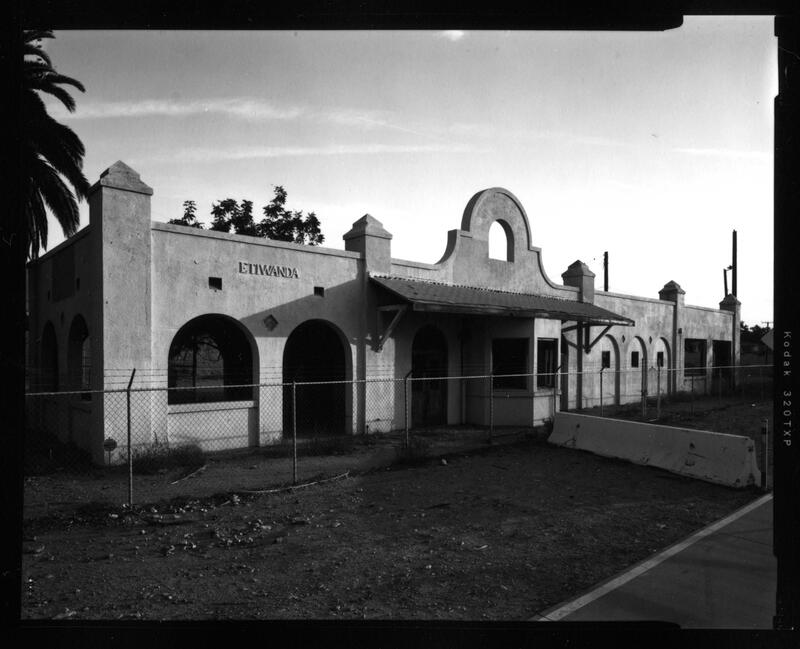 This passenger depot was constructed in the city of Rancho Cucamonga in 1914 for the Pacific Electric Railway. Designed by master architect Irving Gill in the Mission Revival style, this depot served until 1951 as part of the Pacific Electric's passenger network, an electric interurban railroad whose presence shaped development patterns in southern California. This ranch is located within the city of Cupertino. Originally settled by John C. Bubb in 1866, the Seven Springs Ranch was subsequently owned by architect William A. Radford and Grant Stauffer. 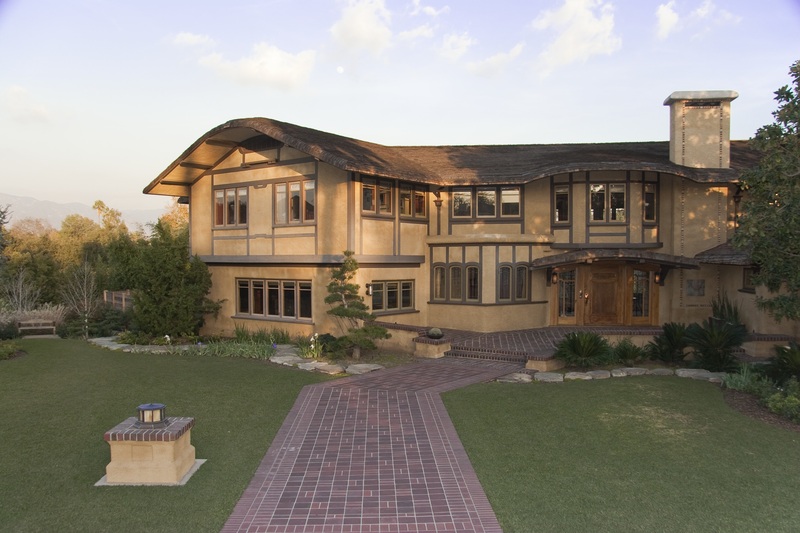 In addition to its role as a ranch, several components of the ranch are architecturally significant as examples of early to mid 20th century architectural styles. 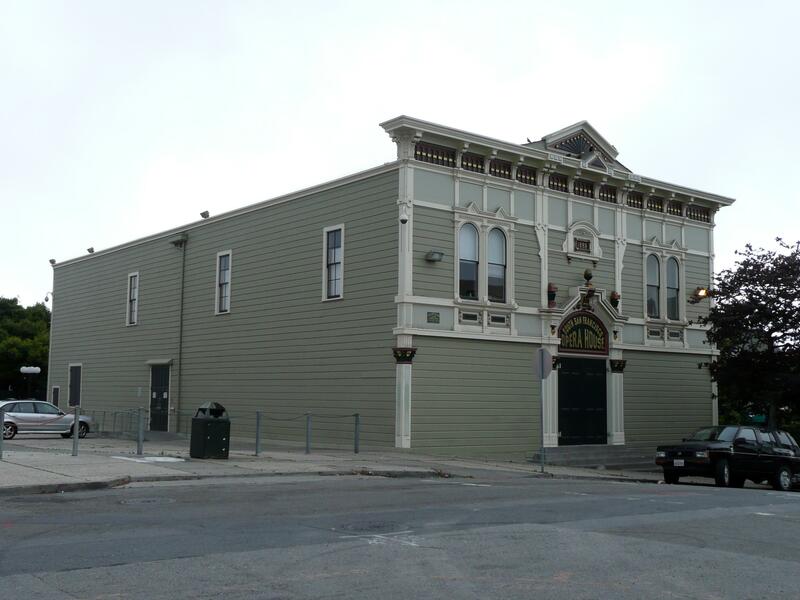 Constructed in 1888 by South San Francisco Masonic Lodge No. 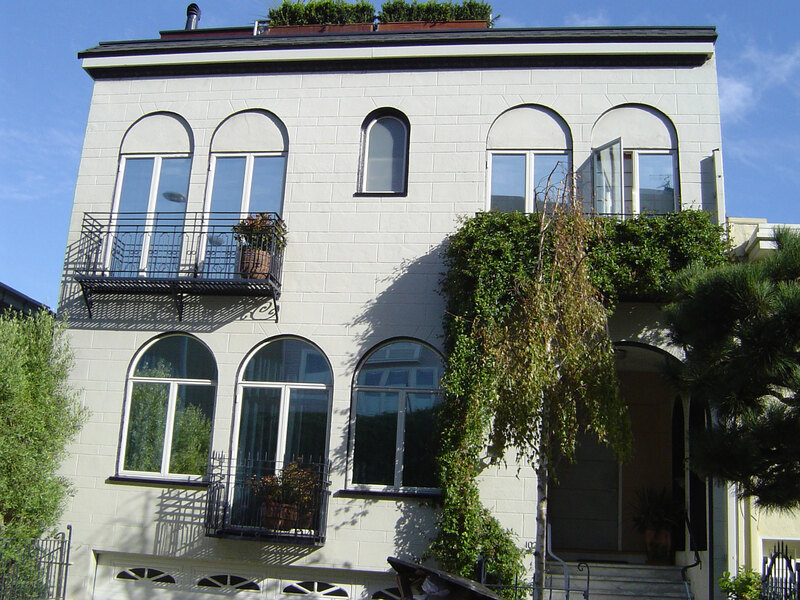 212, this building was a public social hall for gatherings, cultural events and entertainment. 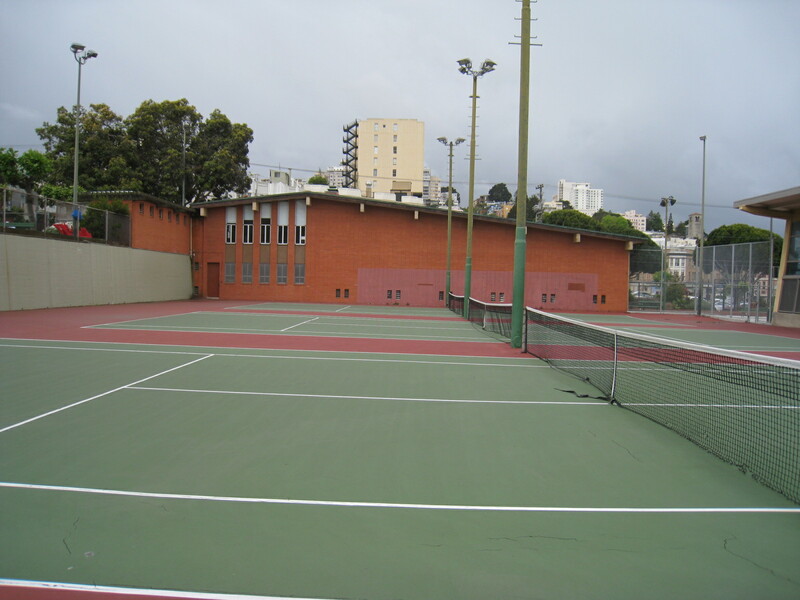 Located in the Bayview neighborhood of San Francisco, the building was designed by architect Henry Geilfuss in a blend of Italianate, Gothic and Stick styles. 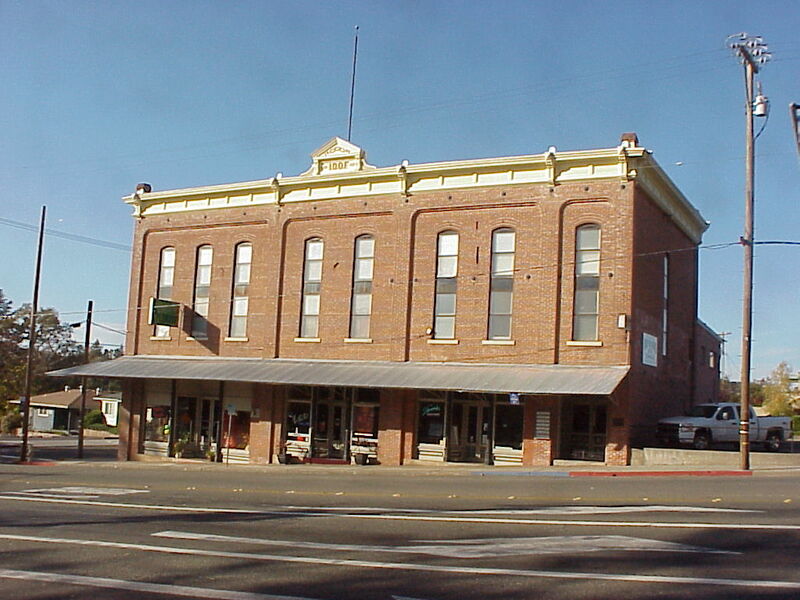 The building was operated by the Masons as a theater until 1965. A rare Modern Post and Beam residence designed by the late Master Architect Homer Delawie, FAIA. Prominently located on a broad view-oriented boulevard, it is the only Delawie residence in Coronado, a community known for its layered architectural diversity. Constructed in 1924 on the island of Catalina, this Pueblo Revival residence was designed for author and fisherman Zane Grey by his wife Lina Elise Grey and designer Edwin Bowen. 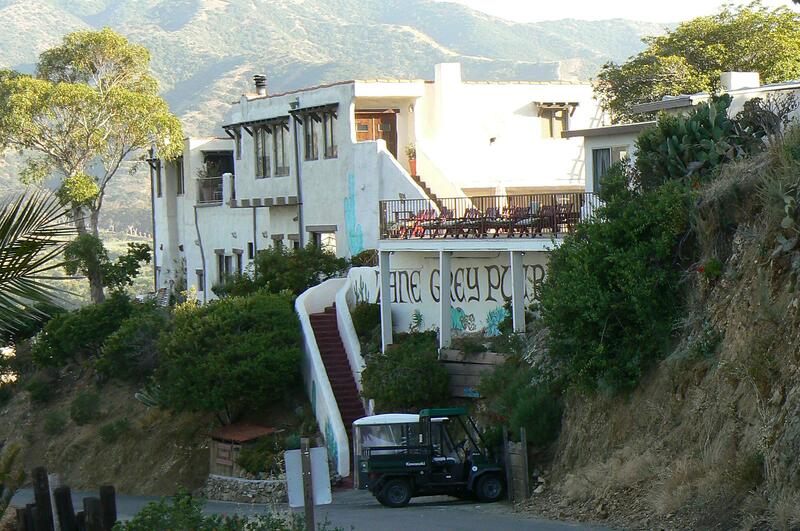 The building is significant primarily for its association with Zane Grey, who wrote many of his books and stories about fishing at the Pueblo, and was a significant figure in Catalina's sport fishing community. The SHRC considered the following nominations at their regularly scheduled hearing on May 19, 2011. 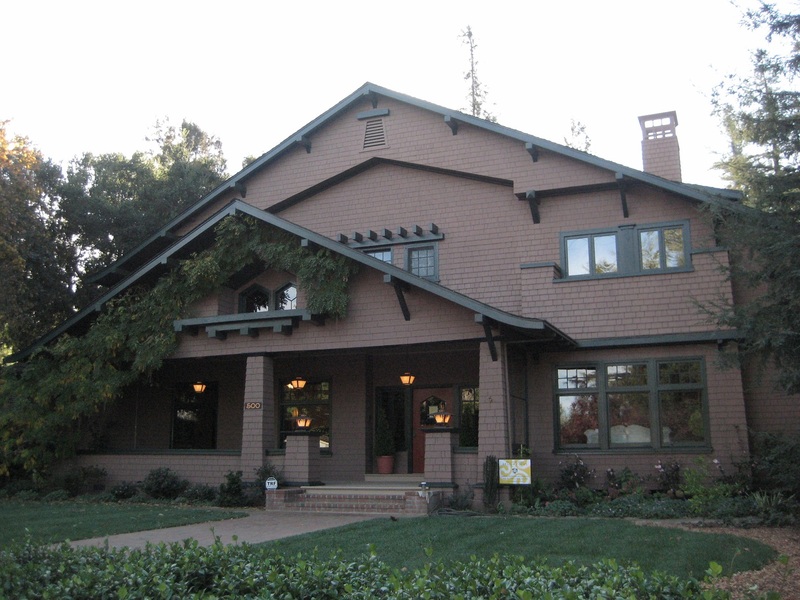 They recommended the State Historic Preservation Officer (SHPO) forward twenty-one National Register nominations and one Multiple Property Document to the Keeper of the National Register for listing, listed one property on the California Register, determined one property eligible for the California Register, and determined one property ineligible for the California Register. 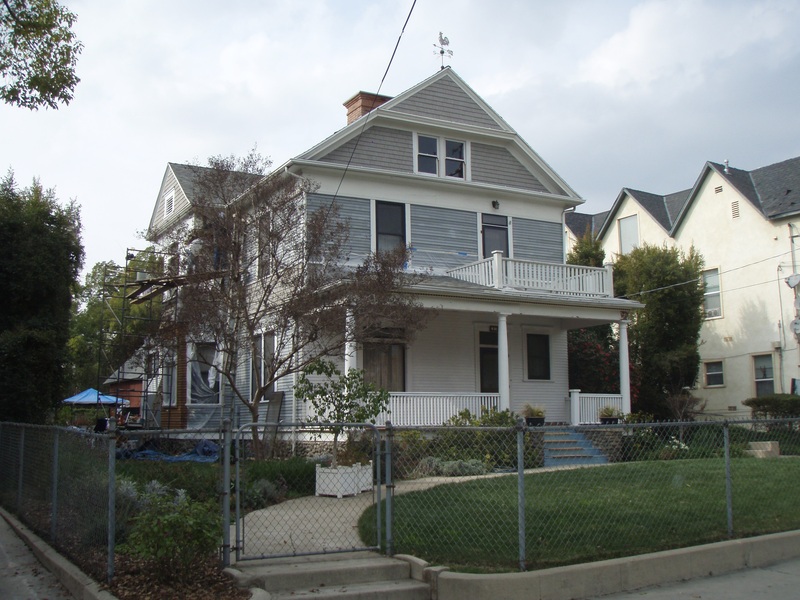 This Queen Anne style house was built in 1888 and is one of a small number of late nineteenth-century properties in the hillside area of Pasadena to the west of the Arroyo Seco. 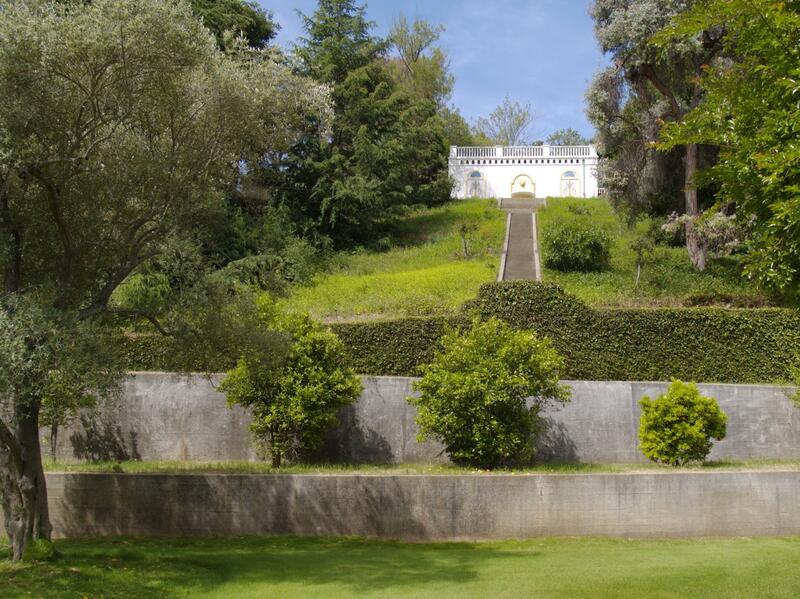 It is notable for the overall preservation of its exterior architectural features and for the mature landscaping. A two-and-one-half story, 2,400 square-foot Colonial Revival house designed by architect Louis Kwiatkowski and built in 1895. 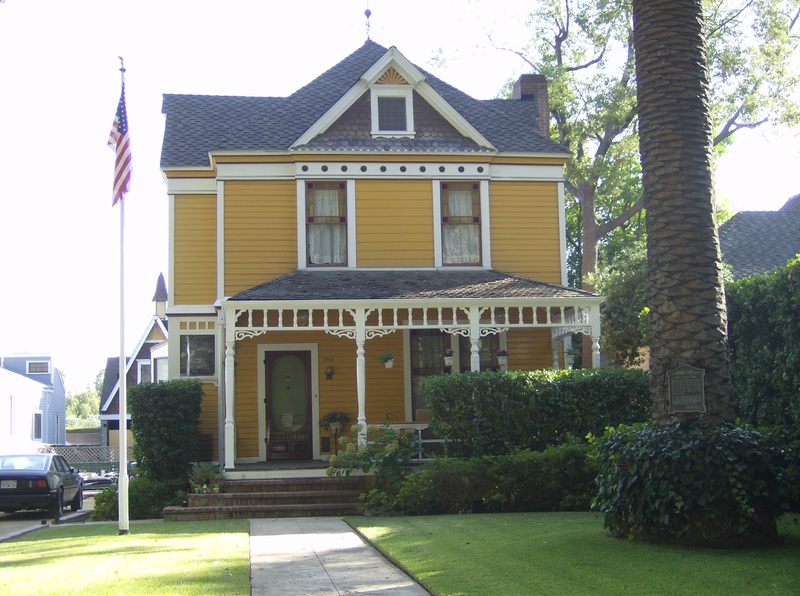 A Pasadena neighborhood containing intact examples of late 19th and early 20th century domestic architecture, including Folk Victorian, Queen Anne, Colonial Revival and vernacular cottages built between 1886 and 1904. 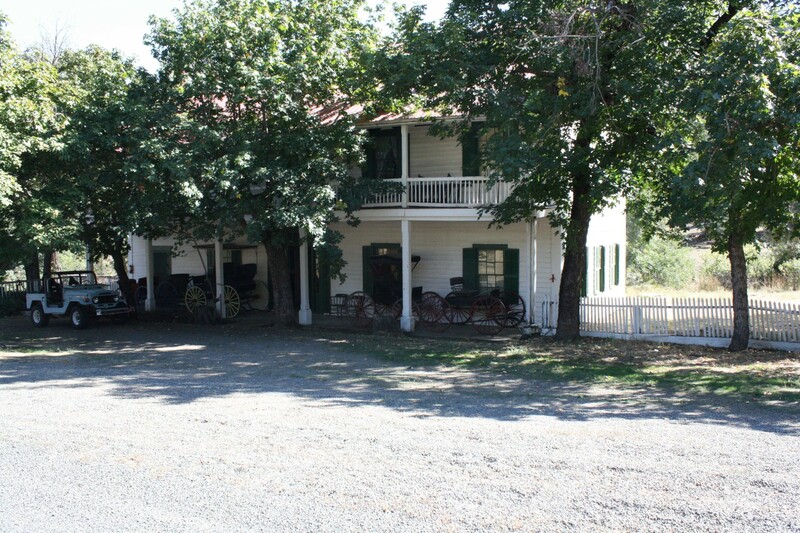 A modest vernacular design constructed circa 1852 near Yreka, at the heart of a large 19th century agricultural and tourism-related operation from the earliest settlement period of Siskiyou County. 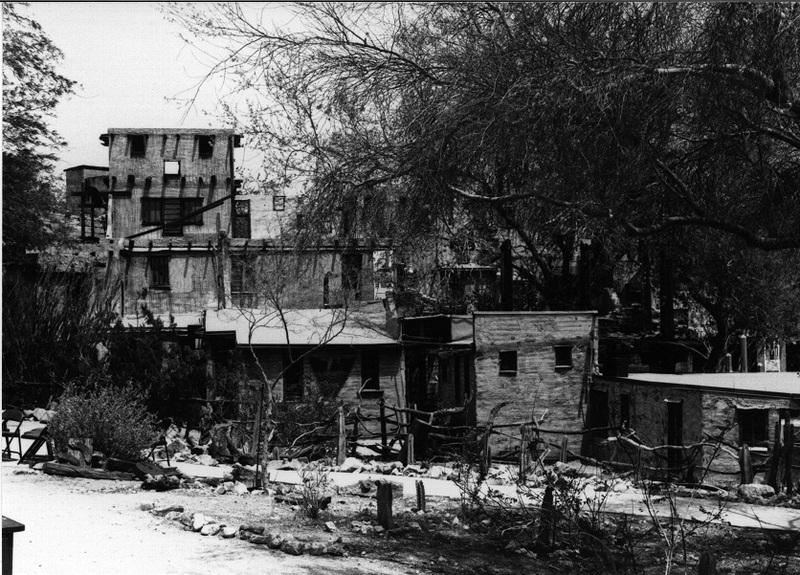 Settlement on the site began as a way station that served the growing mining communities drawn to Siskiyou County by the discovery of gold, and Forest House later became a resort destination for dances, weddings, and other social events. 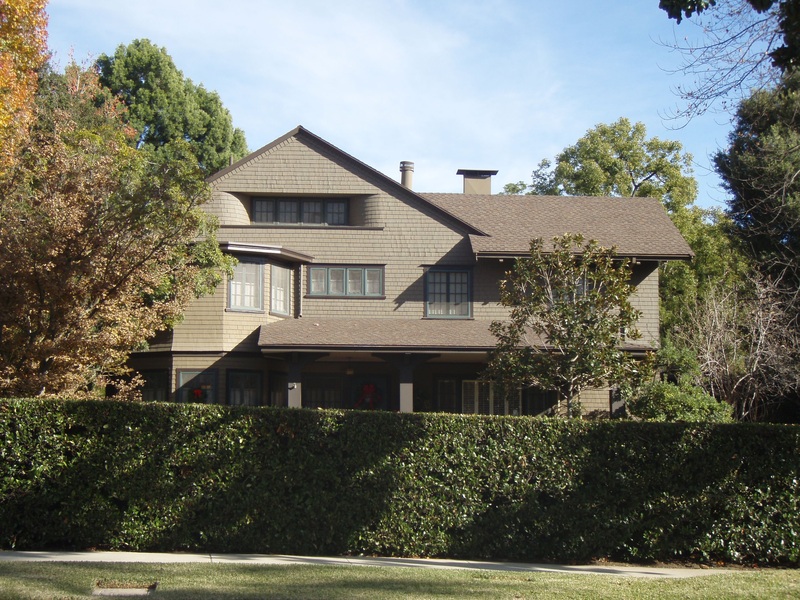 The Freeman House is a two-story residence built at the height of the Arts and Crafts movement in Pasadena by prominent local architects Arthur and Alfred Heineman. This one- story, 1,600 square-foot vernacular hipped cottage with Queen Anne detailing was built in 1893. 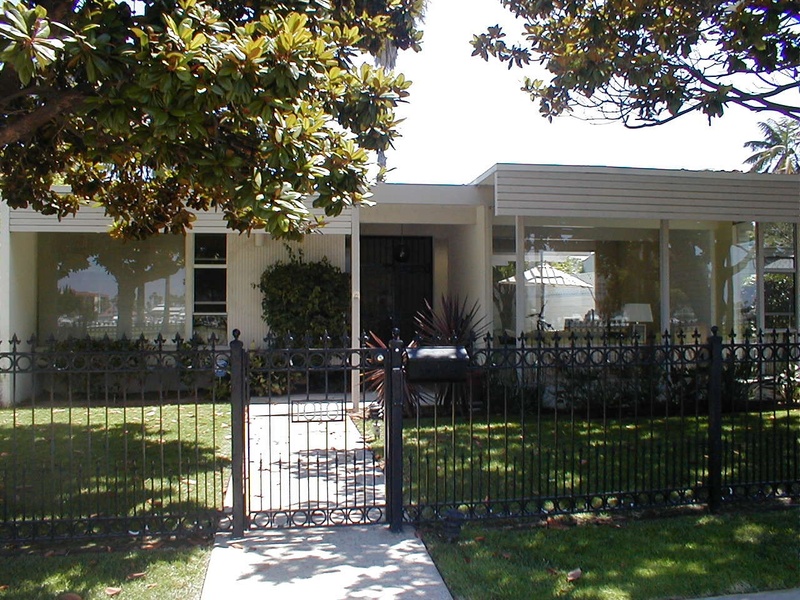 One of three Richard Neutra-designed residences in Long Beach, this 1953 half of a “double house” successfully integrated with its traditional neighbors without losing its Modernist identity. 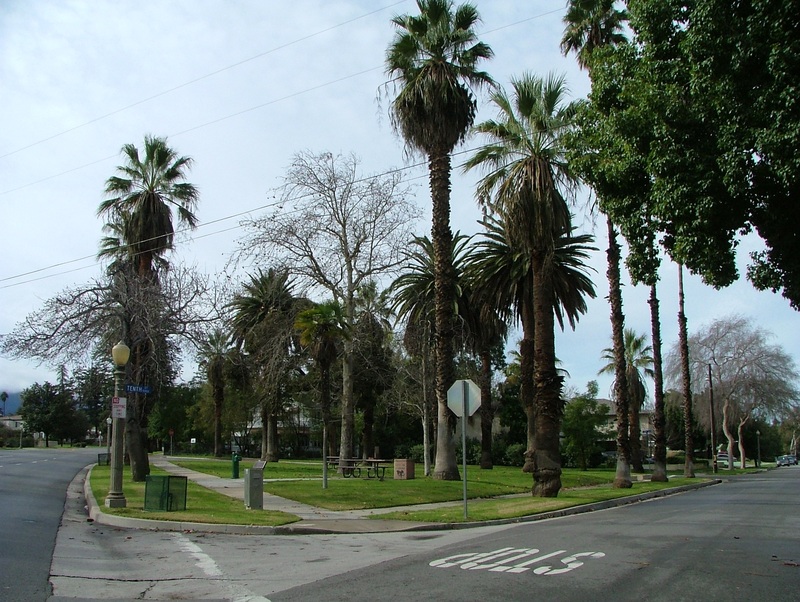 A one-mile circular boulevard that has come to define the city of Corona, CA, as "the Circle City," Grand Boulevard's historic district includes right-of-way, lamp posts, and pocket parks. It was also the site of automobile races in the early 20th century. An exceptional local example of Queen Anne Style architecture distinguished by picturesque massing, verandahs, elaborate carpentry, leaded and stained glass windows and richly carved paneling and ornament on the interior. Mrs. J.H. 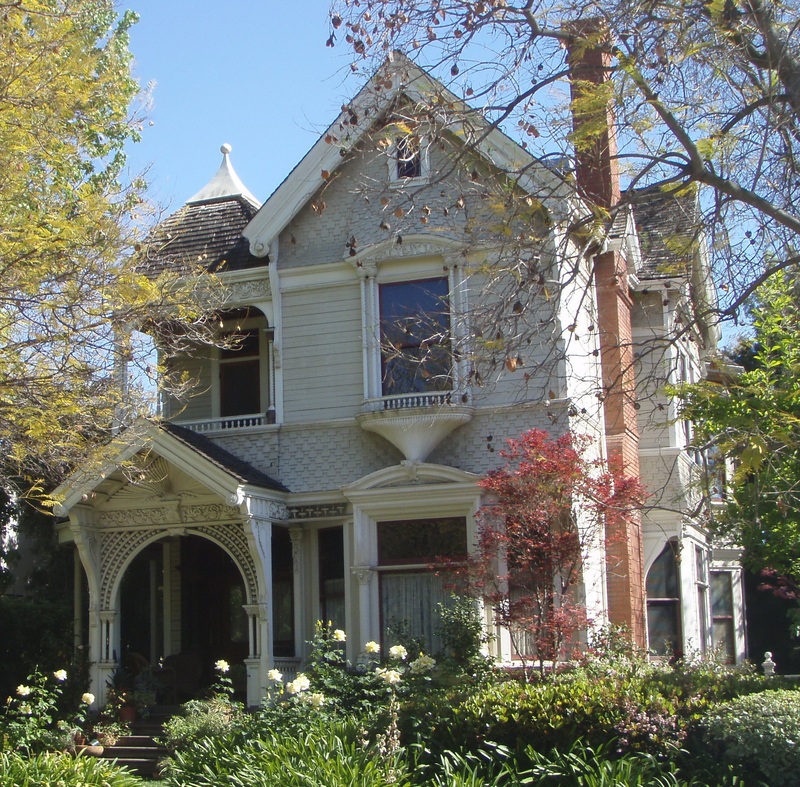 Hood House is an 1886 Folk Victorian residence constructed in 1886 and moved to its current parcel in 1901. An exuberant late nineteenth century Queen Anne style of architecture, the Cosby house has a richly textured exterior executed in wood. Set high on its foundation it has tall windows with horned stiles. 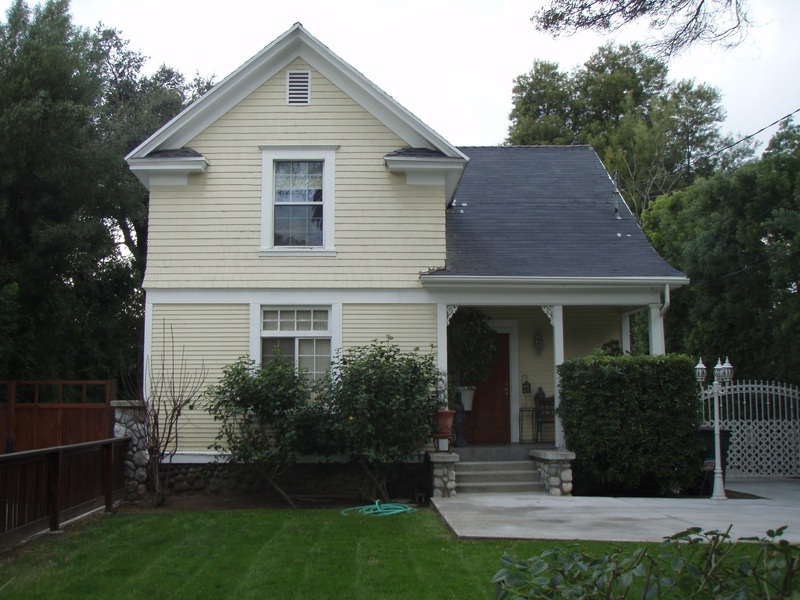 This one-and-one-half story, 1,578 square-foot Queen Anne style house was built in 1887. Polygonal bays with gable-with-shed roofs extend from the south end of the east (street-facing) elevation and the center of the south elevation. 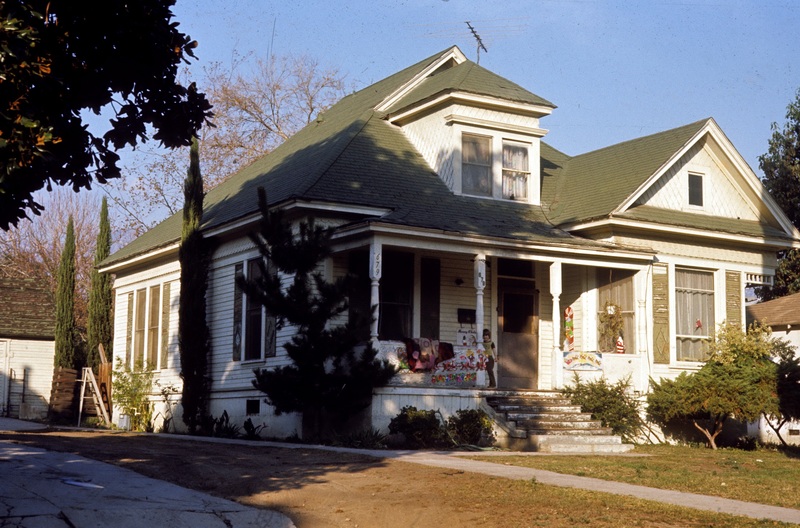 This multiple property document creates a common historic context for National Register nominations within the city of Pasadena, including individual properties and districts. Styles eligible under this MPS include Queen Anne, Shingle Style, Colonial Revival, American Foursquare, vernacular houses, hipped and gabled cottages. 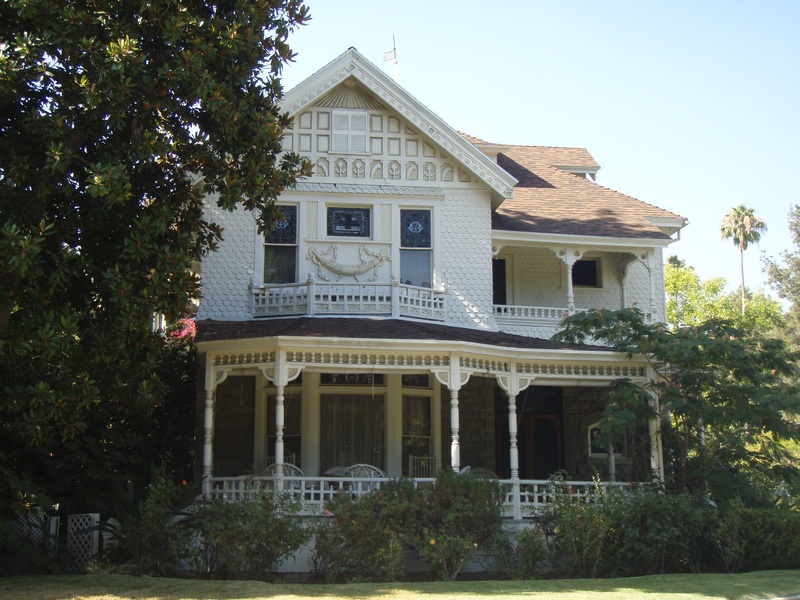 Mary E. Denham House is an American Foursquare house with Richardsonian Romanesque influences, located in the city of Pasadena. The building was designed by noted Pasadena architec Frederick Louis Roehrig, and is still recognizable as part of Pasadena's original "Millionaire's Row." Nuestra Senora Reina de la Paz is a property encompassing 187 acres located in the Tehachapi Mountains of eastern Kern County and is significant at the National Level for its association with Cesar Chavez, the most important Latino leader in the history of the United States. 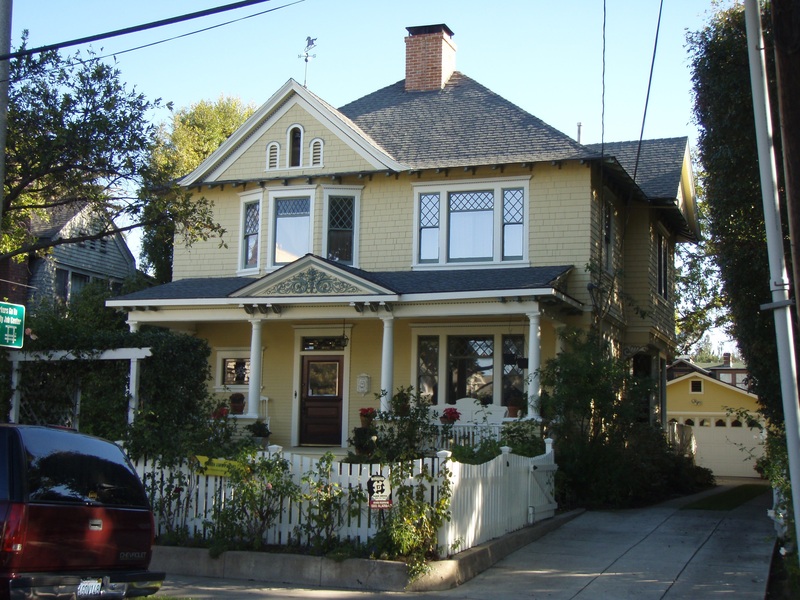 A Pasadena neighborhood containing intact examples of late 19th and early 20th century domestic architecture, including modestly-sized Queen Anne homes and both hipped and gabled vernacular cottages built between 1875 and 1906. 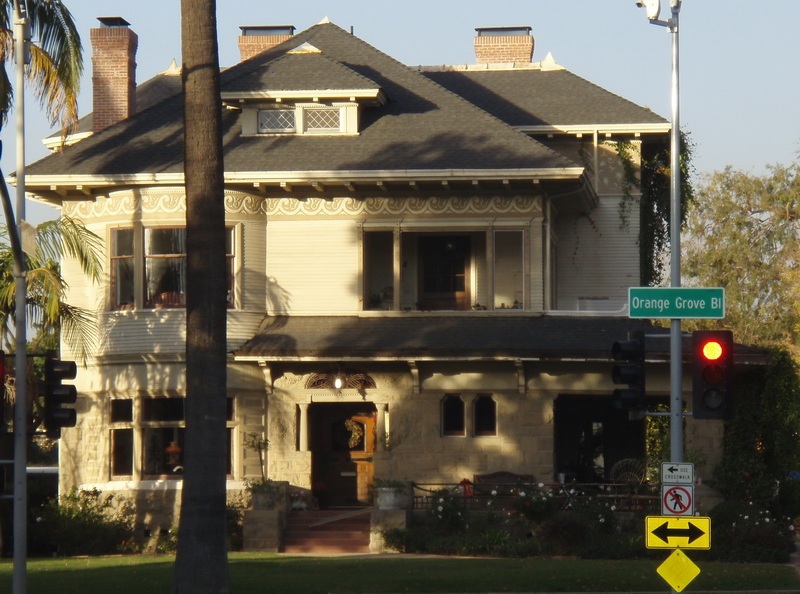 A Pasadena neighborhood containing intact examples of late 19th and early 20th century domestic architecture, including Folk Victorian, Queen Anne, Colonial Revival, American Foursquare and both hipped and gabled vernacular cottages built between 1888 and 1906, including two examples of the early work of architects Charles and Henry Greene. Built in 1942, in response to the area’s growing need for a large restaurant capable of hosting frequent gatherings of up to 150 people, the building reflects the unique and complex past of Salinas’ Chinatown, providing a gathering place for the Chinese, Japanese, and Filipino communities to celebrate their cultural heritage. 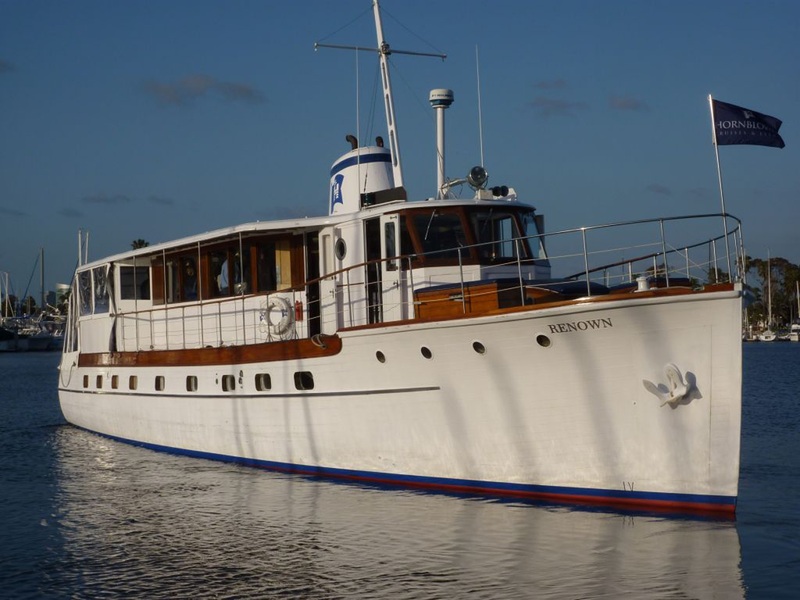 Renown is significant under National Register Criterion C as an excellent example of a shallow-draft “Trumpy Yacht” designed and constructed by master naval architect, John Trumpy, Sr. (1879 – 1963), through his association with the Mathis Yacht Building Company of Camden, New Jersey. The North Beach Library, designed by the architecture firm Appleton & Wolfard, represents a keen understanding of the modern library principles developed and distributed by the American Library Association after World War II. A 1943 US Navy minesweeper owned by American film legend John Wayne. 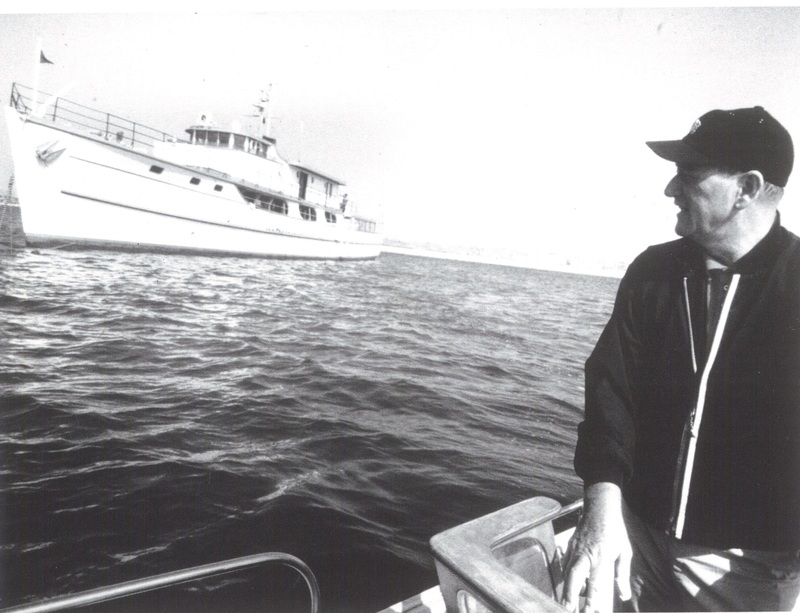 Cited in Wayne's biographies as his sanctuary and proudest possession, the Wild Goose is significant as Wayne's floating residence and an expression of his respect for the United States Navy. 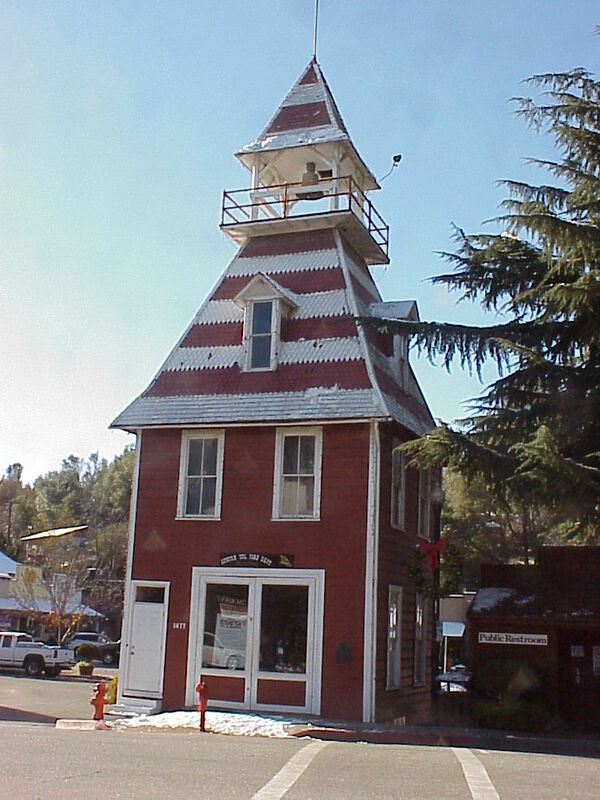 The following property was listed on the California Register of Historical Resources. An approximately 12-acre debris field associated with the May 16, 1944 crash of a World War II era Liberator bomber, and the development of United States military aviation history. 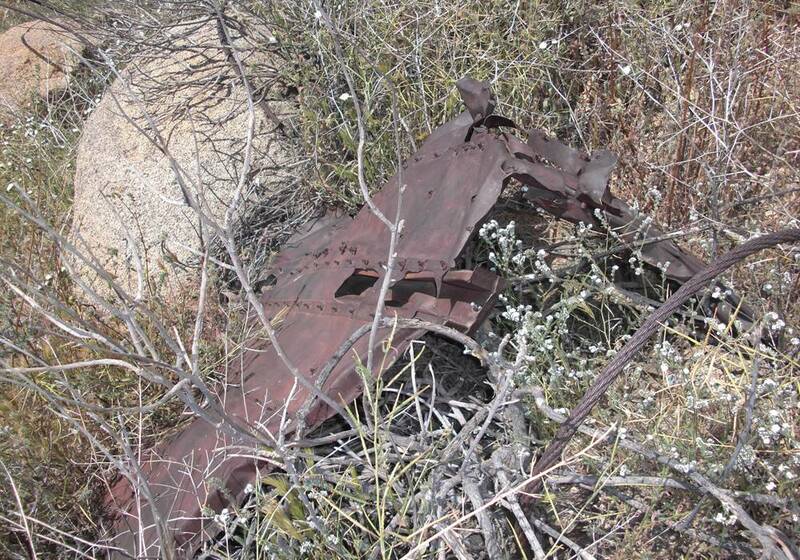 Relatively unchanged since the crash, the site's rugged rock and scrub-covered setting still contains the scattered remains of three of the bomber's seven-man crew, making it a potential military war grave site, and a restricted location. 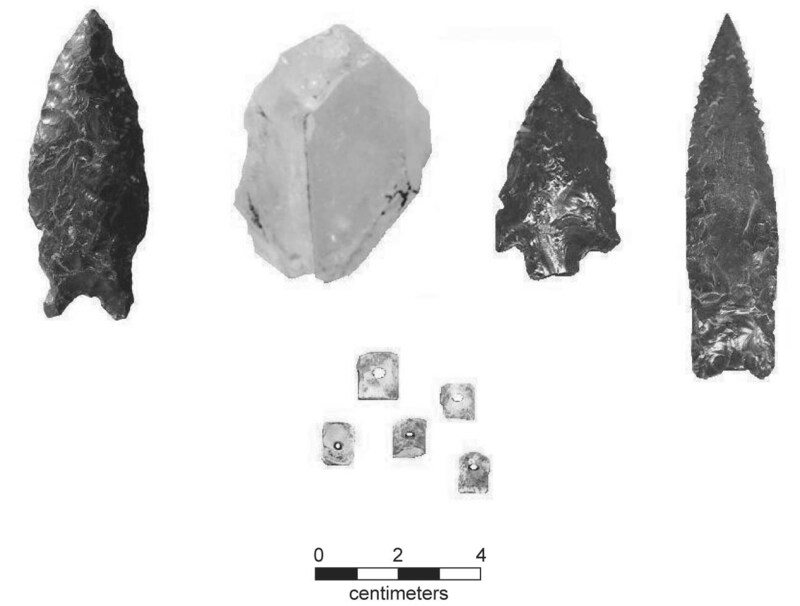 The following property was determined eligible for the California Register of Historical Resources. Built in 1927 as the Brooklyn State Bank, this building served its East Los Angeles neighborhood as a Catholic Youth Organization community center and later as Self Help Graphics & Art. 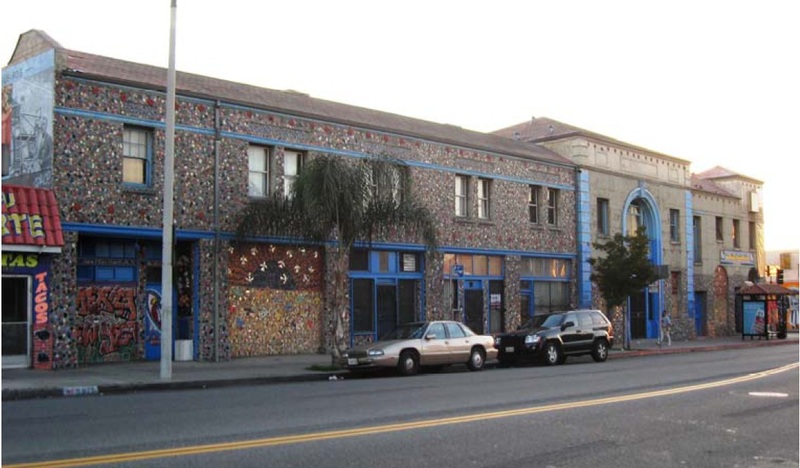 As Self Help Graphics & Art, the building continued its role as a music venue and youth center and encouraged young Mexican-American artists to create work and learn printing skills. 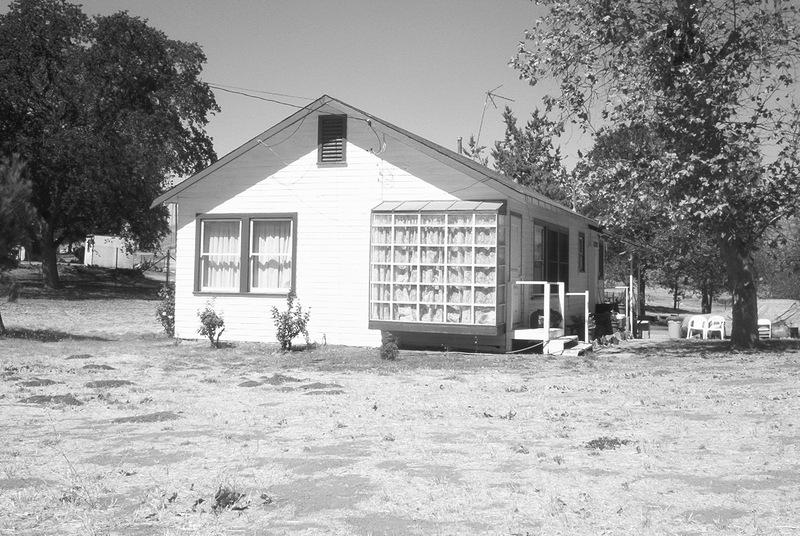 The following property was determined ineligible for the California Register of Historical Resources. A prototypical ranch/modern design with classical details. The SHRC considered the following nominations at their regularly scheduled hearing on August 5, 2011. 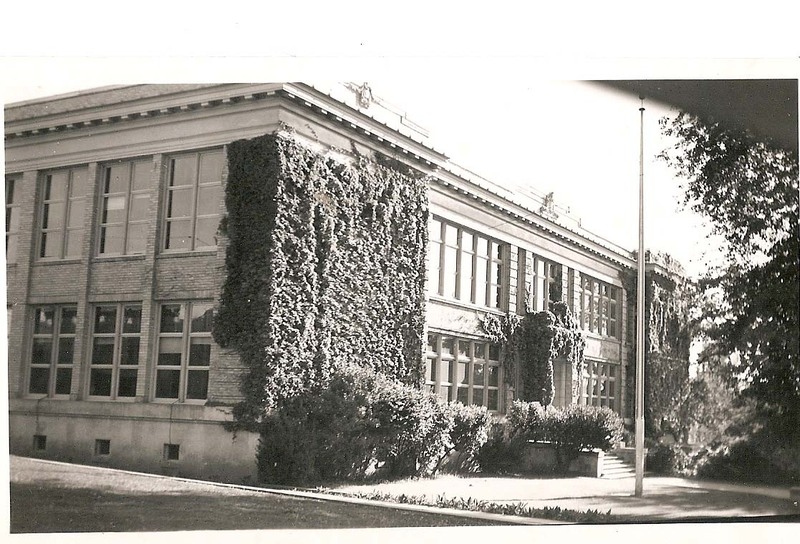 They recommended the State Historic Preservation Officer (SHPO) forward nine (9) National Register nominations to the Keeper of the National Register for listing. 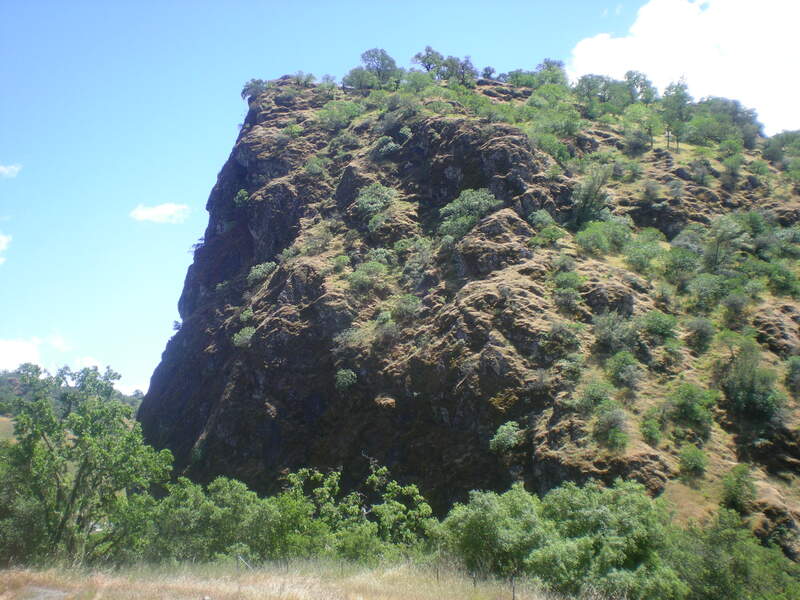 The SHRC recommended one amended California Historical Landmark be forwarded to the Director of State Parks for designation. 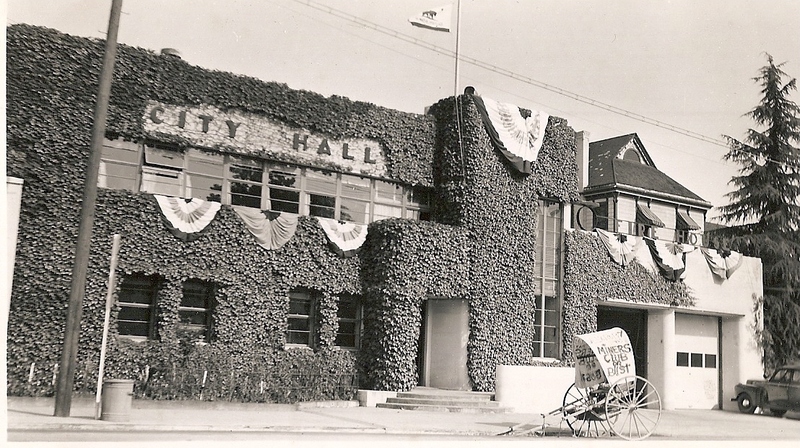 Completed in 1937, this WPA Moderne civic building became the city of Auburn's new city hall. 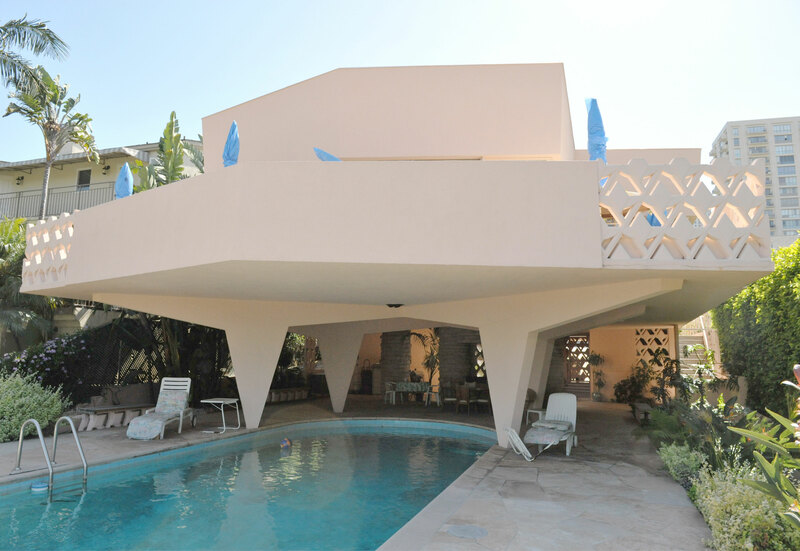 It was designed by master architect George Sellon. 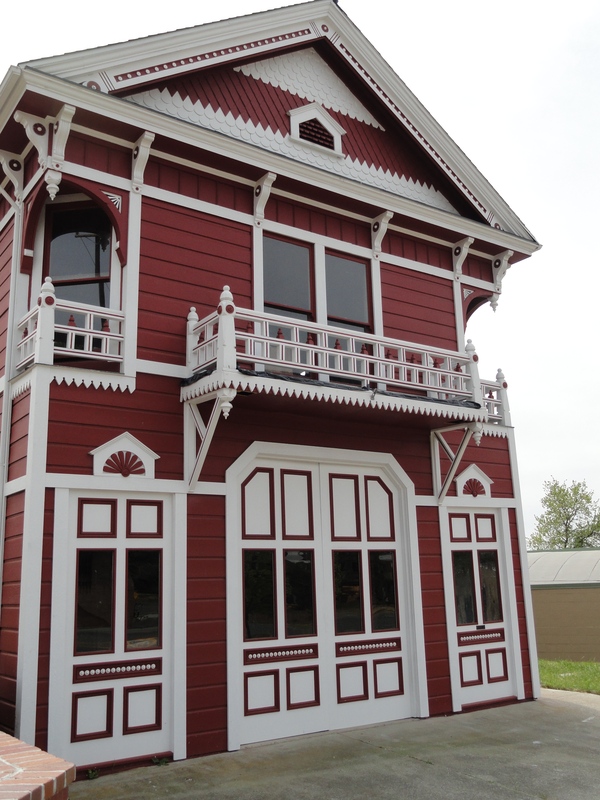 This distinct 1891 Shingle Style building was Old Town Auburn's firehouse for more than 50 years. This ornate 1888 Stick/Queen Anne building housed both Auburn's fire department and the offices of a water company. This 1894 Italianate commercial building became the home of Auburn's Oddfellows Lodge and two retail stores. 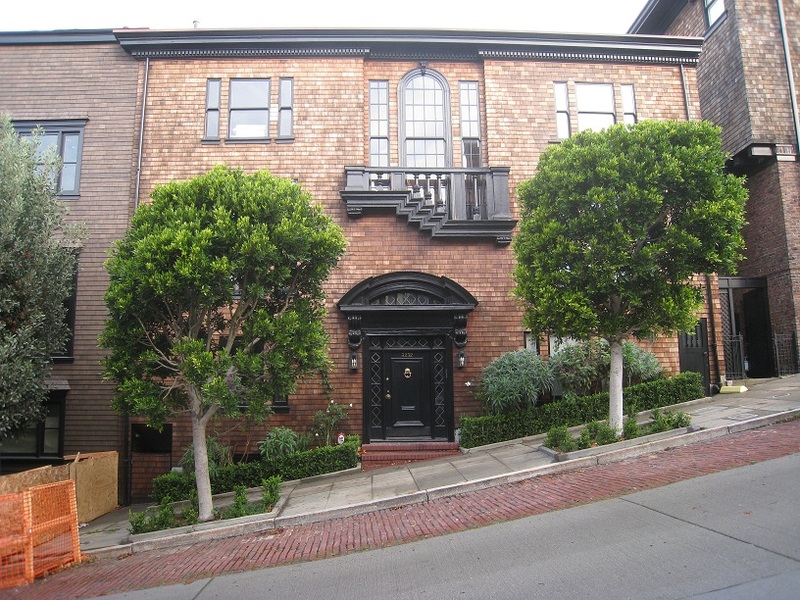 Designed by architect Allen Fellows, this property combined two adjacent single-story commercial buildings with a second floor and a dramatic Gladding-McBean terra cotta facade in 1914. 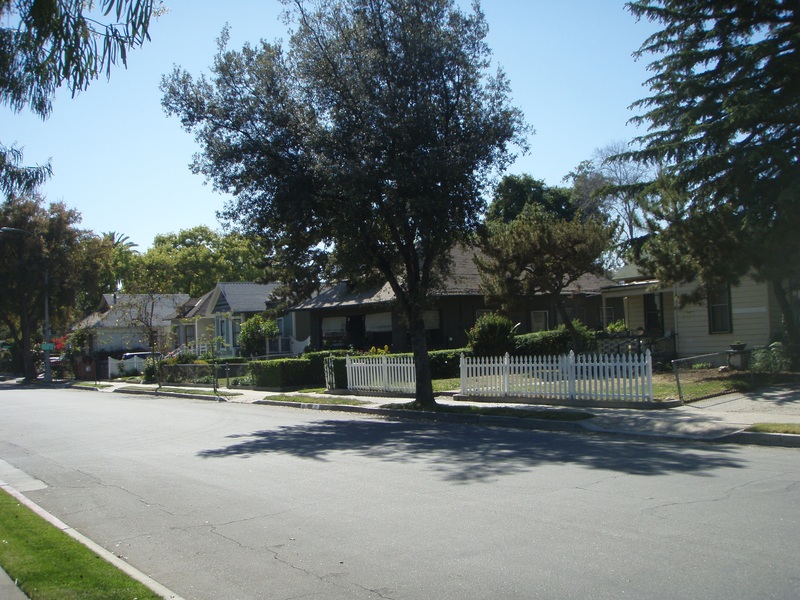 This Sacramento neighborhood was created atop the old Union Park Racetrack in 1905. 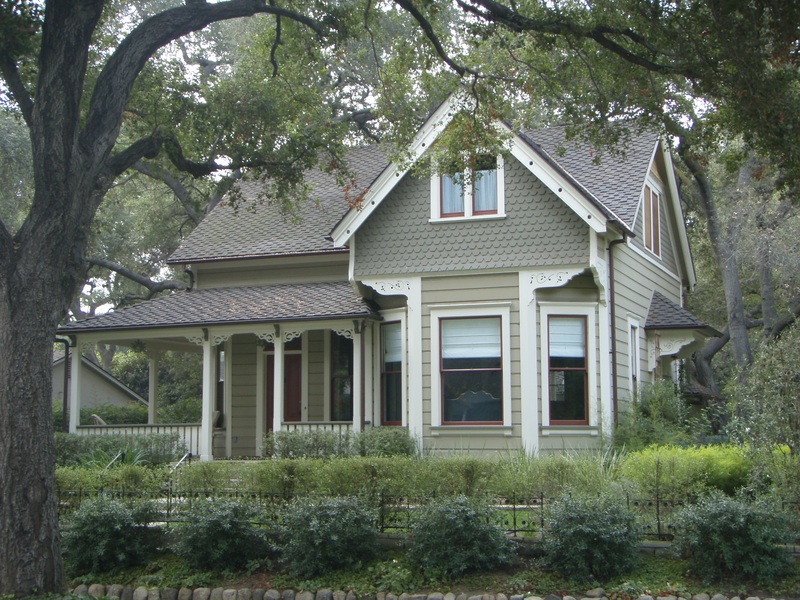 The district includes elements of Progressive-era landscape and neighborhood design and over 200 residences in Craftsman, early 20th century revival, and Prairie styles. 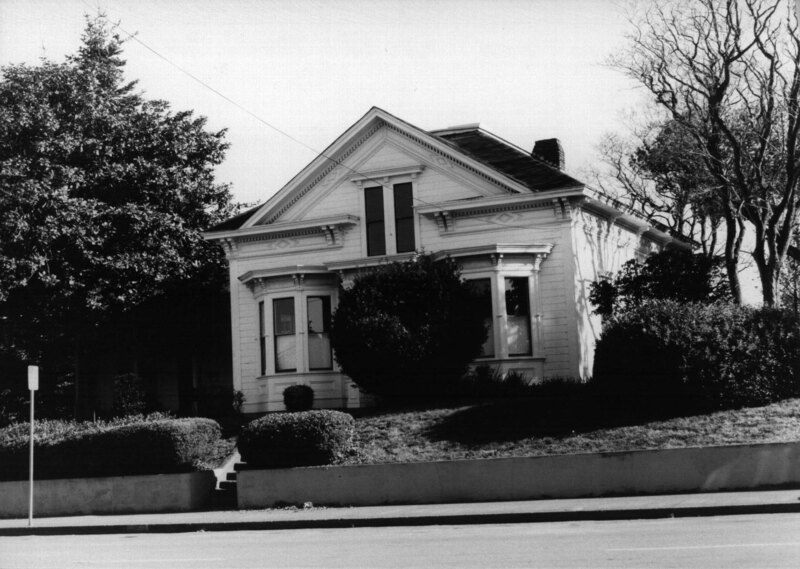 This 1876 Italianate house in Arcata, Humboldt County, was built for Thomas Bair and the residence of John G. Chapman, whose mining and merchant-packing businesses made him a prominent businessman in 19th century Humboldt County. 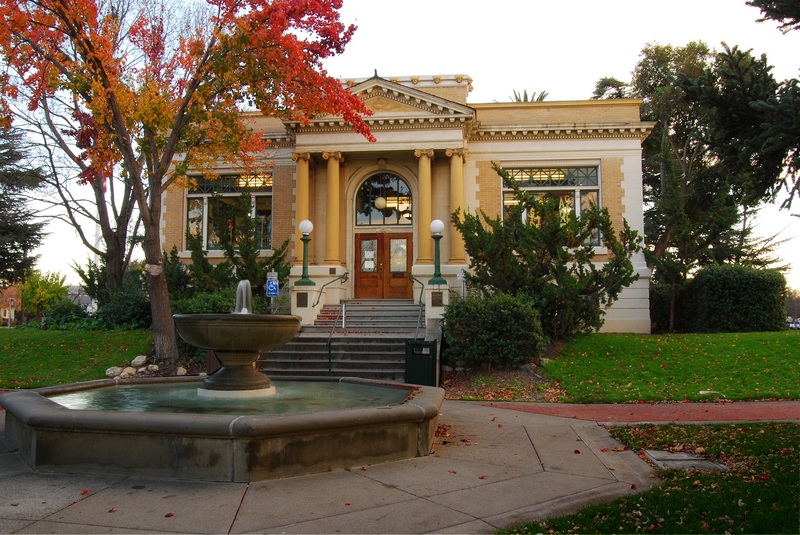 This Carnegie library in the city of Livermore was designed by architect William H. Weeks. Constructed in 1911, a sandstone fountain in front of the library was also designed by Weeks as part of the library's parklike setting. 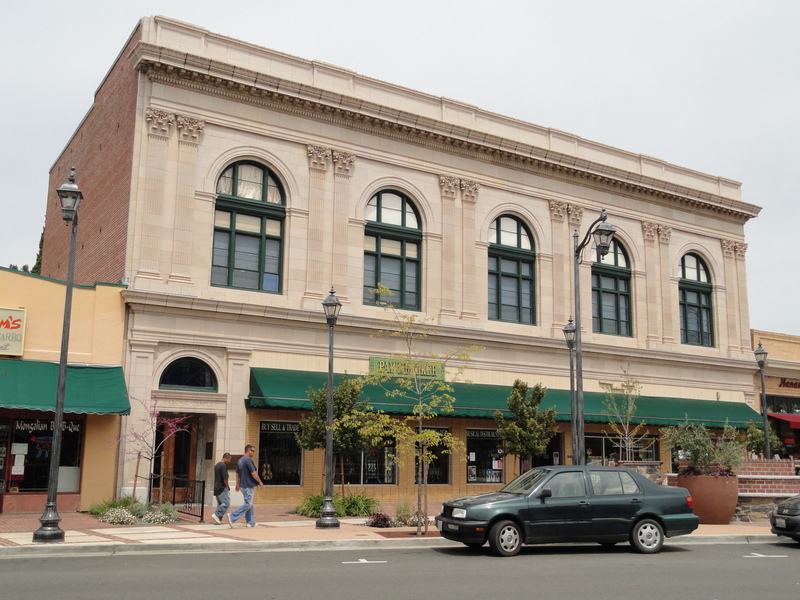 This 1913 Beaux Arts bank building in Auburn, Placer County, was designed by San Francisco architect Charles Sumner Kaiser. 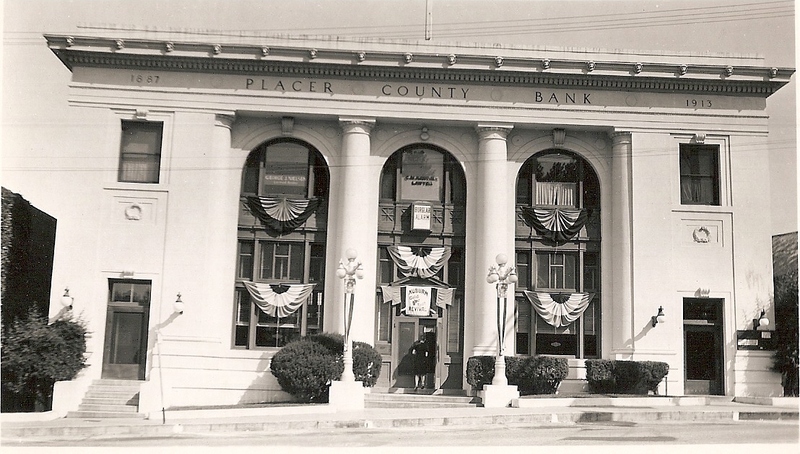 Due to its role in Placer County gold mining, more gold was shipped to the San Francisco mint from this bank than any other bank in California. Shoup House This 1910 Craftsman residence in Los Altos was built for Paul Shoup, a lifelong railroad man and eventually President of Southern Pacific Railroad. 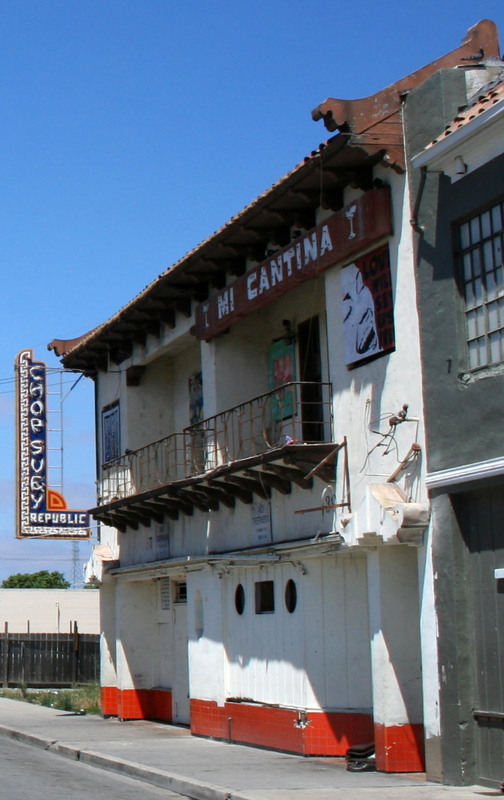 In his capacity as an executive in charge of rebuilding Southern Pacific's interests in the San Francisco Bay Area following the devastating earthquake and fire of 1906 he came to be considered the founding father of Los Altos. Frog Woman Rock is an update to an existing California Landmark, #549. This update renames the Landmark to associate the site with the Pomo legend of Frog Woman, the clever and powerful wife of Coyote. The SHRC considered the following nominations at their regularly scheduled hearing on October 28, 2011. 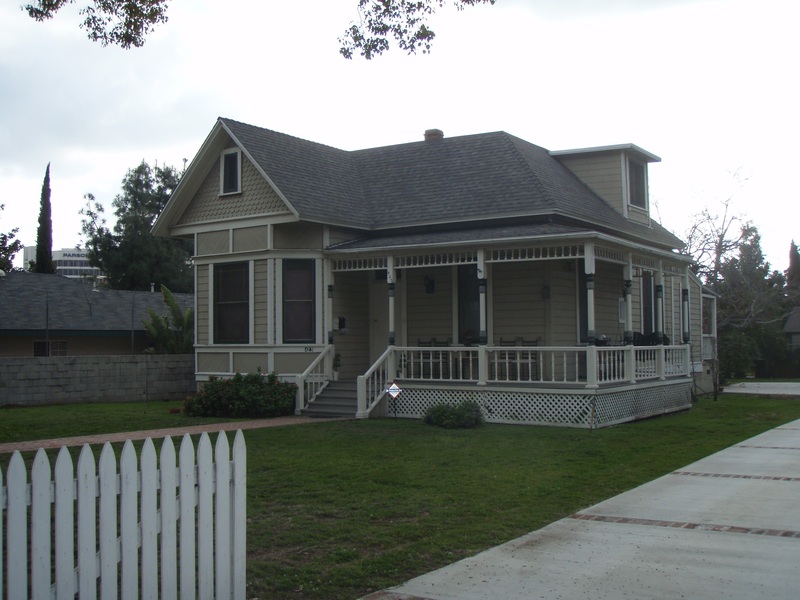 They recommended the State Historic Preservation Officer (SHPO) forward 12 National Register nominations and one Multiple Property Document to the Keeper of the National Register for listing, and listed one property in the California Register of Historical Resources. Built in 1915, this Beaux Arts grammar school was designed by San Francisco master architect William Henry Weeks and was considered a showcase of modern education, representing the most contemporary advances in school design and efficiency. 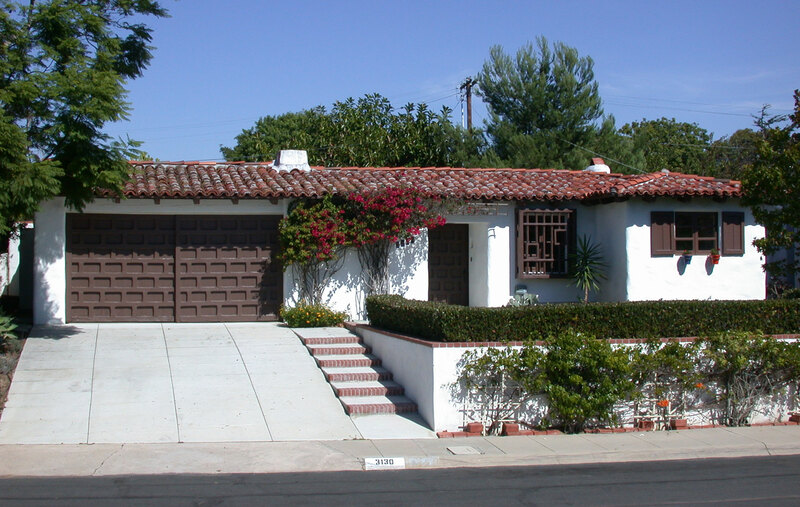 This Hacienda style ranch house in San Diego County was the first commissioned work of master builder and architect Cliff May, and an outstanding example exhibiting all of the character defining features of his early work. 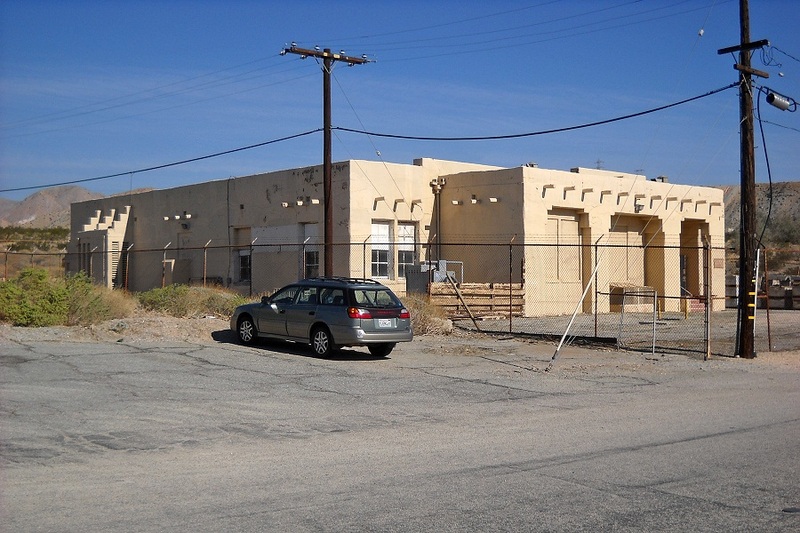 This complex of buildings in the town of Desert Hot Springs was constructed by Cabot Yerxa between 1913 and 1941. They represent a unique interpretation of the Pueblo Revival style and the work of a master craftsman and artisan using primarily salvaged material. 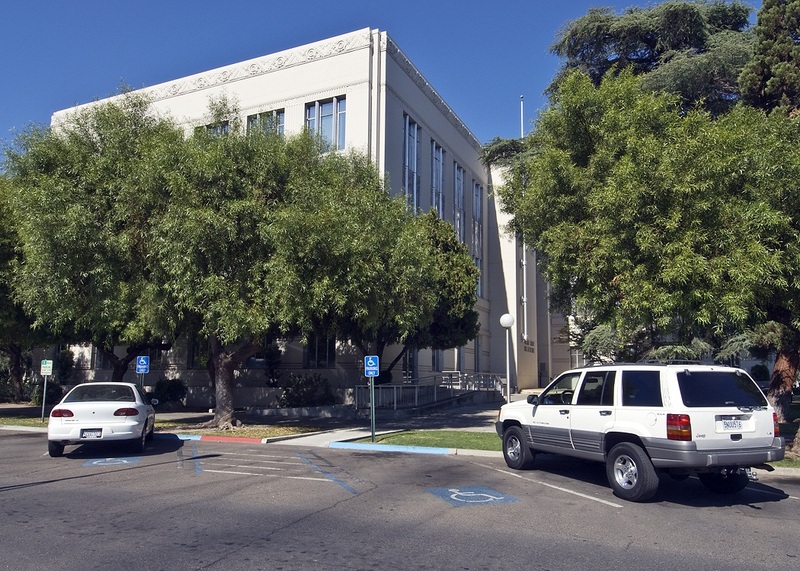 This county records building was originally constructed in 1937, designed by Fresno master architect Henry P. Villalon in the PWA Moderne style. It was expanded with a complementary annex in 1955, designed by Maurice J. Metz. 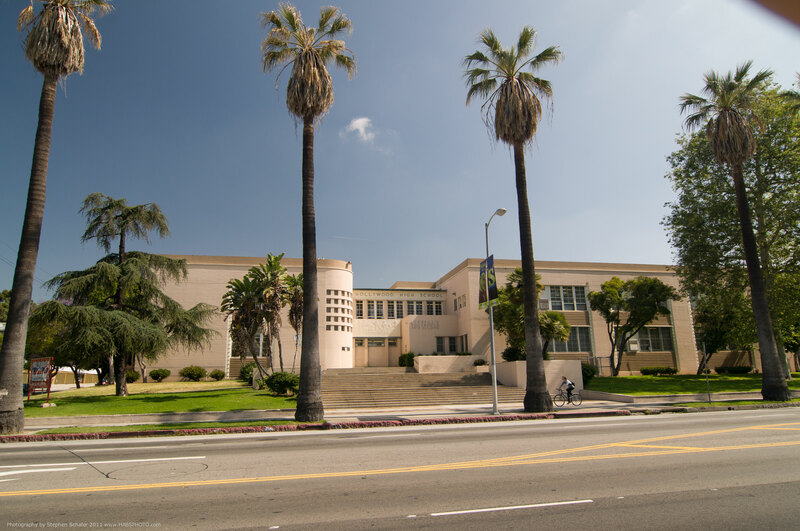 Associated with the entertainment industry and the development of Hollywood, the district includes five contributing buildings primarily in the Public Works Administration (PWA) Moderne style. The narrowness of this Beverly Hills lot and steepness of the natural topography inspired an elongated two-story building form, representative of Frank Lloyd Wright Jr.’s life-long concern for integration of the building and its site, and his innovative, theatrical flair. 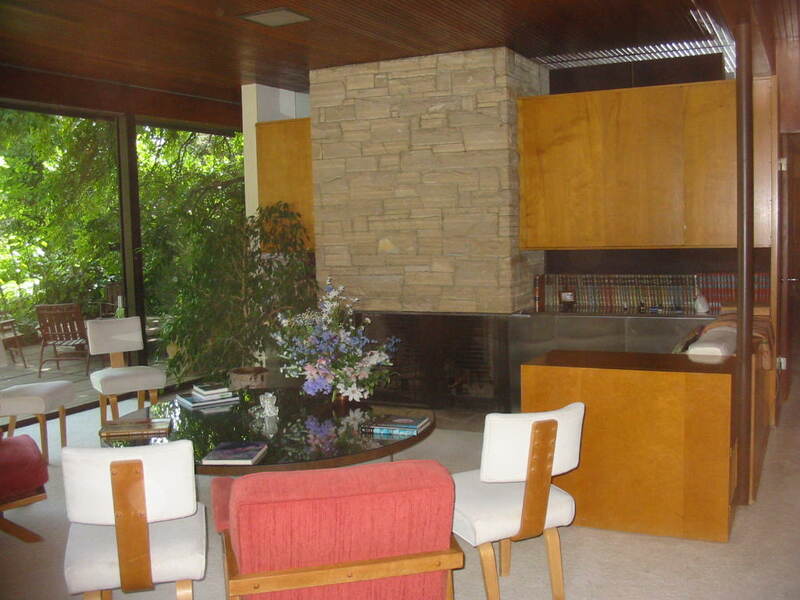 Significant for its association with Nell Sinton, recognized as one of California’s earliest prominent female abstract expressionists, the house was designed by John (Giovanni) Porporato and altered for the artist’s use by William Wilson Wurster. 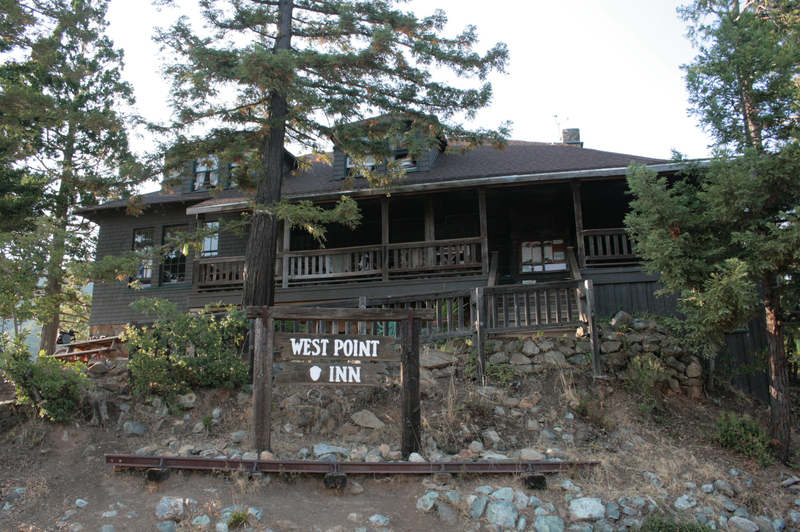 A multi-component prehistoric habitation site dating to the Late Holocene epoch, The Pearl Site is eligible under National Register Criterion D.
A rare surviving example of a San Francisco Bay Area rustic mountain lodge, built in 1904 at 1,800 feet above sea level on the southern slope of Mount Tamalpais . Constructed between 1947-1949 and opened in 1950, this roadside motel is submitted under the U.S. Highway 66 in California MPD Form. 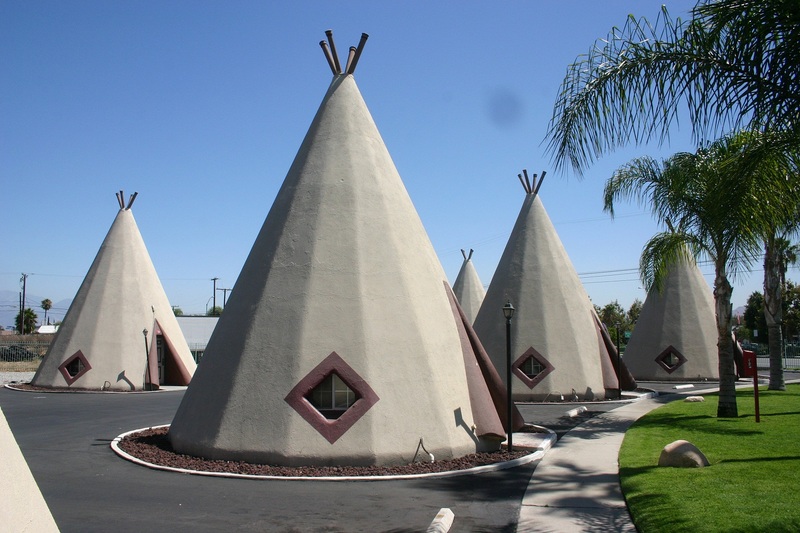 It exemplifies a unique type of roadside architecture designed to attract high-speed travelers on Route 66. This 1930 AT&T Whitewater Repeater Station embodies the distinctive characteristics of both the Pueblo Revival and Art Deco Architectural Styles.